Bylong's world famous Tarwyn Park, home of Peter Andrews' Natural Sequence Farming, is under threat from a coal mine proposed by Korea's KEPCO. ABC’s Australian Story will feature Tarwyn Park in its broadcast on Mon 5/5, titled “The Battle for Tarwyn Park”. This is Part 1 - Part 2 will follow on 11/5. There has been quite a bit of media coverage one way or another about this in recent days. A story from Saturday’s Newcastle Herald is here. Stuart will be participating in the online forum after Monday's program. A couple of weeks ago, we invited Premier Baird to visit Bylong, meet the locals and have a guided tour of Tarwyn, hosted by Stuart. The response from his office was that he was too busy. If you feel inclined to drop a short note to the Premier saying you think he should reconsider and visit Tarwyn after all, it's very, very, very easy to leave a message via his contact form. Or maybe Facebook or Twitter are more your style. Finally, if you’re going to make a noise, remember: be loud, be proud. 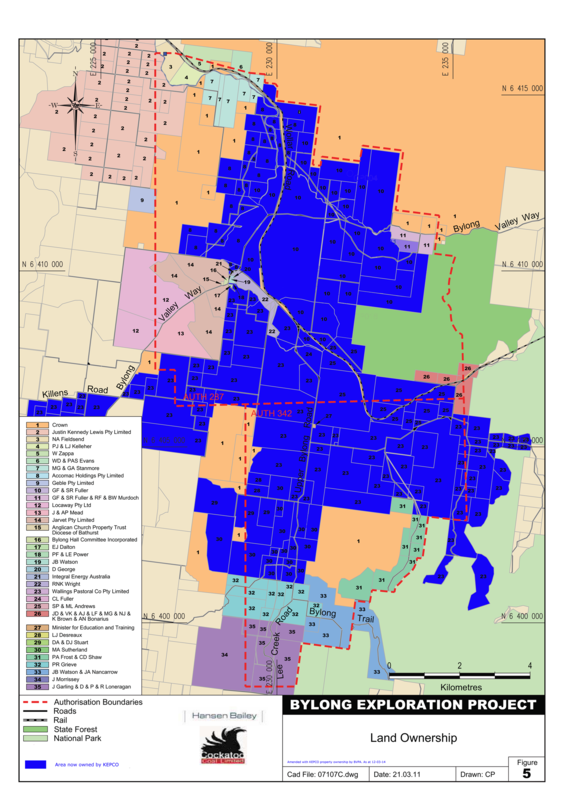 And here's where the property Tarwyn Park (bright blue) overlayed on KEPCO's conceptual mine plan. 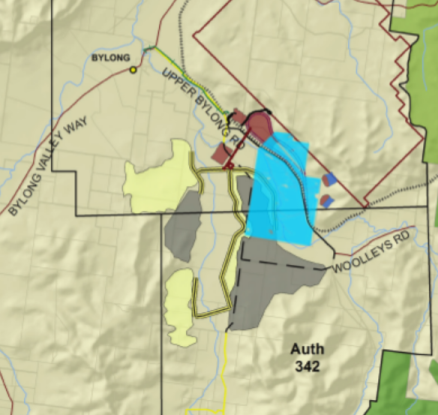 The grey areas are proposed open cut pits, the yellow overburden emplacement, the red-brown is various infrastructure and the outlined area between Tarwyn and the National Park is the proposed longwall (underground), which is mostly under the Bylong State Forest. When KEPCO says it is preserving Tarwyn, it means there are no plans to mine on the area where Peter's work has mostly been done. But can you honestly believe there won't be impacts when neighbouring pits are so deep and the projected water use from the mine is so very large? No? We don't either. 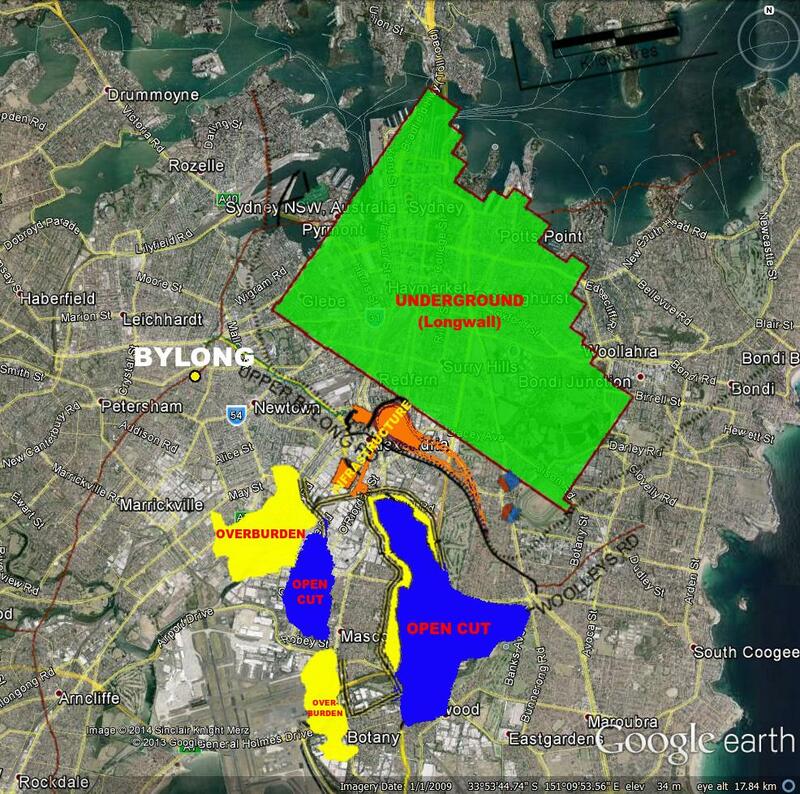 And, finally, here's what KEPCO's conceptual mine plan looks like when overlaid on Sydney. It covers all of the CBD and south to the airport. It ain't pretty. If you'd like to sign up for regular updates from the BVPA, click here.